When it comes to diving the best spots in the world, from the Galapagos to Raja Ampat, there is only one winner; the Liveaboard! Like it or not, the world’s best diving spots tend to be rather isolated; to reach them you need a liveaboard. But before you go and book your next trip on a liveaboard, make sure you get the full low down on liveaboard diving to maximize what you get out of the trip. Getting the most out of your trip starts before you even leave home. Once you are on a liveaboard, you are totally isolated, your diving and enjoyment depends on what is on the boat, and there is no dive shop that you can just “pop over to” to replace a broken piece of gear. Start your preparation with yourself; although you may be taking a liveaboard in a nice tropical location, you will be out at sea. At night there can be a chill in the air from a sea breeze or even some light rain depending on where you are. It is advisable to take a sweat shirt and light long pants. You might even consider a light waterproof jacket. It is also a great idea to pack a lightweight travel towel for use on the dive deck, and you can save the towels supplied by the boat for the shower. 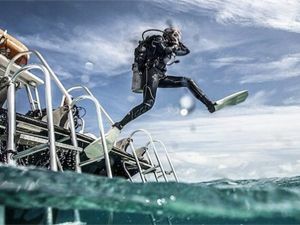 When it comes to dive gear, you need some form of redundancy; ensuring your dive computer has a new battery is not enough, there are plenty of scenarios that can result in its loss or damage, so always have a backup computer, and take it diving with you – you never know when you might need it. In addition to having a backup computer, it’s also very handy to have a backup regulator; after all, it is your primary life support method. While it can be cumbersome to pack another regulator, one spare can be brought along as backup for a couple, since the likelihood of multiple regulator failures is very low. Needless to say, make sure the regulator is well serviced and maintained, don’t just drag a regulator that’s been in the closet for a year and hop on a liveaboard. You might also want to consider packing a backup mask since it is a personal fit, especially if you use corrective lenses. In addition, a great idea for many experienced liveaboard divers is to take along 2 wetsuits. Rotating them between dives lets you get into a nice dry wetsuit, which apart from being far more comfortable also helps keep you warm. Before you head off there is one final item that should go in your bag – Dive Insurance. Don’t even bother without it while being on a liveaboard and doing 4-6 dives per day; only a fool would do so without the appropriate dive insurance. A final thought on packing for your trip is that on a liveaboard, anything liquid you use ultimately gets flushed in the sea – try to only bring biodegradable and environmentally-friendly shampoos and soaps to reduce your impact on the environment. Before you head of on your trip, do a little research about the areas and expected dive sites you will be exploring. You might even consider emailing the company for information on special equipment you should bring, such as reef hooks. You will almost certainly need a SMB on a liveaboard: the chances of doing drift dives and being picked up by a RIB (rigid inflatable boat) are high, and as such not only will you need a SMB, but you should also be comfortable using it. If you are not, then it is highly recommended that you practice using it beforehand- not to mention that deploying a SMB should be second nature to every diver anyway! Odds on, on a liveaboard trip you will be taking part in one or two night dives, to that end make sure you have a decent working torch, and preferably a backup torch as well. Make sure you have enough batteries, chargers etc. to charge everything up. For photographers, the list of recommended spares can be quite daunting; suffice to say, spare batteries and chargers are a must. In addition, if you are a really keen photographer then it is a good idea to actually pack a spare camera that fits in your housing – since if the camera floods due to an accident, you can still reuse the housing and not miss out on any great photo opportunities. 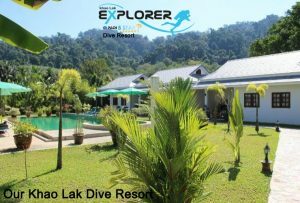 So far we have covered the preparation for liveaboard diving. In part two, we will look at tips and etiquette while on board your dream dive holiday. Okay, so you are going on a diving liveaboard, not setting up a workshop! The fundamental basic tools that you need to bring are a 14/15 mm spanner, an adjustable spanner, and a set of Hex Key from 3 to 10 mm in increments of 1 millimeter. With these you can do almost all the field repair needed. If you want to expand it somewhat, then a pair of needle nose pliers, picks for removing O-rings, and a flat head screwdriver will complement your set nicely. If you have any small unit specific tools for your dive gear you probably should bring them along too. I read that it is not safe to take sea sickness tablets and dive? This is a somewhat complex subject, since it depends fundamentally on how your body interacts with the medication. One of the main sea sickness medications is Hyoscine, which is more commonly known as Scopolamine. The side effects of this drug are drowsiness, blurred vision, and dizziness, which would obviously impair your abilities underwater. However, there are also other drugs that control seasickness. As a general rule, DAN (Divers Alert Network) recommends not only to get the advice of a physician about what to take, but also to actually try out the medication well before you need to use it on dive boat. This process should help you find a medication that works well with your body. As a general guideline though, they suggest avoiding any seasickness medication if possible, and using natural methods of prevention instead. Which is the best diving insurance to get? 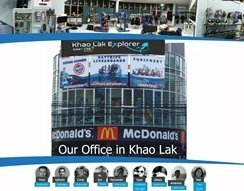 There are many companies and policies available to both recreational divers and dive professionals. Some travel insurance policies even cover diving, however these tend to not be the best policies with many restrictions on the types of diving you can take part in, for example a lot of them exclude technical diving, or even diving deeper than 30 meters. Your dive operation can often help provide an insurance on site. 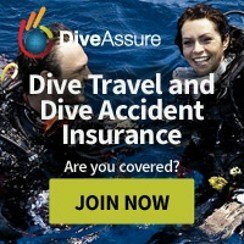 If you ask most dive professionals what insurance they carry, you will find that they have a DAN (Divers Alert Network) Insurance. 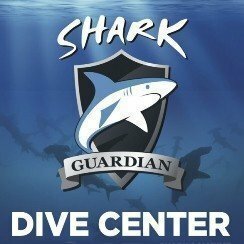 This not-for-profit organisation has some of the best insurances for divers worldwide. What is the best way to practice SMB use? 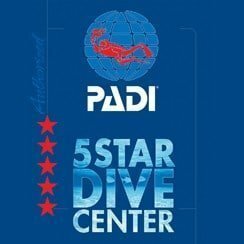 Like most things in diving, practice makes perfect, so in order to master the use of a SMB you need proper training. If you have never used one, ask more experienced divers or instructors at your local dive club, you may then want to practice deploying the SMB in the pool at one of your local dive clubs pool night. Another great way is to find a friend or buddy and ask them to snorkel above you, while the divers hover at a depth of around 6 meters. You can then practice repeated SMB deployments while your surface buddy deflates the SMB when it arrives at the surface. In one hour or so you can do 20-40 deployments and really fine tune and master the technique, until it is second nature. After packing like a pro and preparing your trip thoroughly, you’re finally aboard your liveaboard safari to begin your awesome diving holiday. With these few tips and tricks, you should be able to get the most out of your trip. So you have probably heard this enough times from both divers and non-divers extolling the benefits of drinking plenty of water. This is never truer than when on a liveaboard. In tropical environments, dehydration is the culprit in over 60% of the cases of DCS (Decompression Sickness). As such, you should make sure you are absolutely fully hydrated all the time. A general rule of thumb to ensure you are properly hydrated is to observe the color of your urine. It should be clear or a light straw color, any darker than that and you are generally dehydrated and need to take on more water. When drinking, try to avoid gulping large amounts of water at irregular intervals, it is much better to drink small amounts continuously during the whole day. Speaking of hydration, you also need to watch your alcohol consumption! I It is very tempting to drink a few beers over dinner after a great day diving, especially by around day 3 of the trip as a social scene starts to develop on the boat. Having a few beers with dinner at the end of the day is completely fine, but drinking a bottle of wine every night will do you no good at all. Before you strap that first tank of air onto your BCD for the first dive, consider this. You are doing a week’s diving where you will probably rack up between 20 and 30 dives – do you really want to rack up all that nitrogen loading, or is there a better way? Diving Nitrox on a liveaboard trip is a no-brainer, just do it. Historically, nitrox was relatively expensive on liveaboards since they had to carry O2 cylinders to blend up the nitrox; however, in the last 10-15 years, the majority of liveaboards worth their salt have installed membrane nitrox compressors, and the price has dropped significantly. 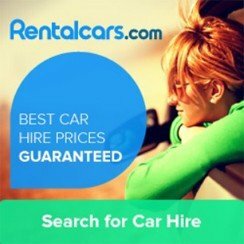 You can get deals for a one off payment to use nitrox, you can even find some boats that offer free nitrox to all customers who are certified. “The early bird gets the worm”. Never has a statement been so true than when it comes to liveaboard diving. As a general rule, the first group in the water has the highest chance of seeing the “Big Stuff” since a lot of times they leave the area when it’s teaming with divers. When you couple this with the fact that the bigger predators tend to spend the early morning shallower and feeding, the first group early in has the most opportunities. However, there is no need to be unpleasant and insisting on being in the first group every time, you will make no friends aboard. A much better strategy is to do some research on the dive sites you will be visiting on the trip. Decide on the ones you really want to be first in on, and during the trip be magnanimous and happily offer to join a later group on other less crucial dives. When it comes to the dives you want to be in first you will have no problems calling in your marker, since it is your turn to get in first, and that is only fair. Ultimately you are going to be in close quarters with a group of people, so be considerate when dealing with others. There is nothing more annoying on a busy liveaboard dive deck than some diver who liberally scatters his equipment all over the boat and keeps pushing past people to gather up everything. Be nice to your fellow divers – after all, you are all here to have fun. Become known as the “annoying guy” on the boat and people might not be too happy to share things they saw with you, or even fail to point something impressive out to you in the water. Overall, be considerate and try and get along with everyone. Finally, spare a thought for the crew and guides, they work very hard to make sure you have a great time. Some crew members are up before you, and go sleep after the last guest, they are here to make your trip so be generous with your time, money and attention in your dealings with them. Apart from that, enjoy your diving! This is quite a variable question to answer since there are many factors that control it such as activity, temperature etc. that come into play. However, when you consider the general recommendation is 2.5 liters per day in temperate climates, and that the vast majority of liveaboards operate in places like the Caribbean, Red Sea, South-east Asia, and Australia, which are all very hot areas of the world, then your intake should be higher. Couple the location to the fact that diving itself dehydrates your body since it has to add moisture to the dry air from cylinder, and the figure goes up even further. Overall depending on the location, recommendations vary from between 4 to 6 liters of water per day when engaged in extensive diving activity. How many beers, etc. are safe to drink? There is no clear answer to this since it depends on your overall hydration levels and your general alcohol tolerance. Suffice to say if you feel dehydrated, drink water not alcohol, and only start drinking alcohol once you are hydrated again. One of the beat gauges this author has heard is the drink driving limit. This states that think how many drinks you can have and still be under the blood alcohol drink drive limit for your country. After reaching that limit have one more drink since you are on holiday and call it a night! This should keep you to 2-3 beers or their equivalents. Obviously the safest and best option is to refrain from drinking while on board. So how do I decide which dives I want to enter the water first? This is relatively simple: firstly, any dives on wrecks are non-issue, happily offer to join the second or even third group, after all the wreck is going nowhere. Secondly, general reef dives where it’s a pretty reef with little or no chance of seeing anything big are ideal to also give up your turn for, since again the reef is stationary, and that moon grouper is not going anywhere soon. If there is a bit of a chance maybe offer to go second since you still have opportunities. Finally, cast iron dives where the main objective is to see big stuff are the ones you want to call the markers on and insist that you be in the first group, since you have given all those other turns up. How much should I tip the dive staff and boat crew? Well this is the million-dollar question! Whilst it is not mandatory to tip, it is highly recommended. Consider also that without exception the guides on the boat will be paid a decent salary by local standards (nobody gets rich from diving), in a lot of less developed locations, the boat crew are working for minimum pay, and in some cases no pay, but actually make a living from the tips they get. A general tip would be between $100 to $200 per person for a week’s liveaboard. Obviously if you were really pleased with the service feel free to tip more if you can afford it.